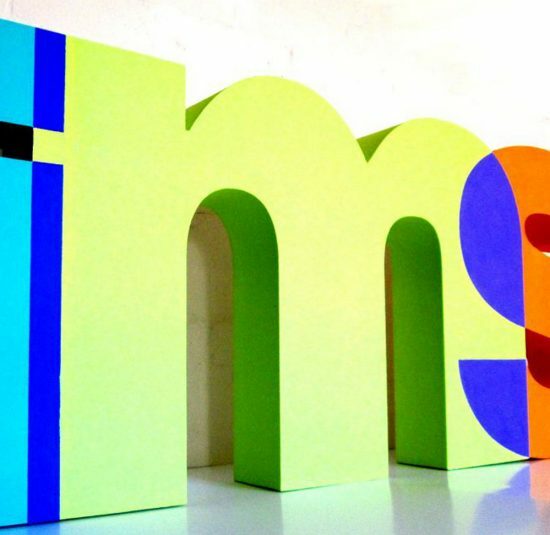 Polystyrene letters and logos are custom made to order from 50mm high to 2000mm high, 25mm thick to 300mm thick, used for Exhibition Header Panels, Shop Displays, Events and Office Wall Logos and Wall Statements. Painted Polystyrene letters are first cut from natural white expanded polystyrene and then given two layers of high quality vinyl matt emulsion paint. We use the Dulux Brand of paints because of their quality and customer service and their ability to match colours to BS and RAL ranges and also to Pantone colours. 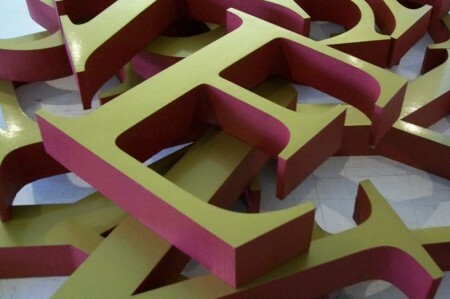 Polystyrene Letters with a painted face and natural sides give the letters definition. ideal for shop window displays. Card Faced polystyrene letters are cut and then a vinyl card is applied to the face of the letters to give a smooth finish. Available in gloss or matt. The letters are available with painted sides in a matt finish using vinyl matt emulsion. 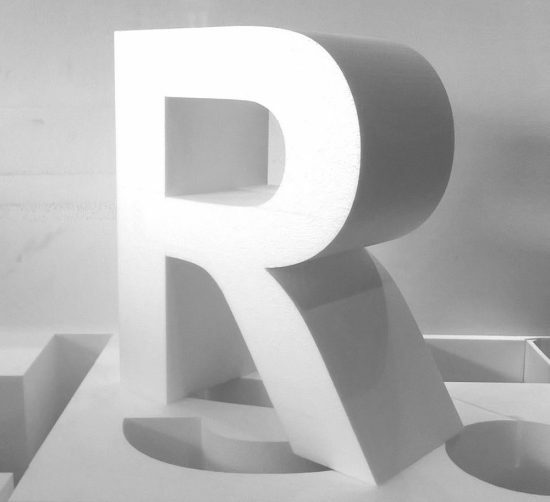 Polystyrene Letters for Outside Use. 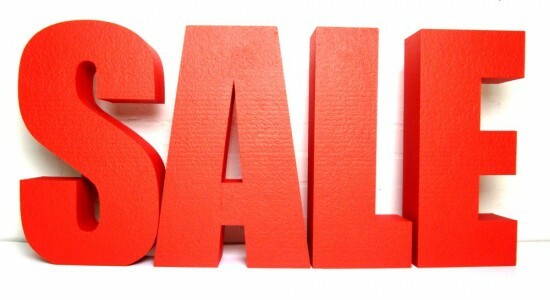 Polystyrene letters for outside use can be made to order for short term use for outdoor events or permanent exterior use for shop signs. If the letters are required for short term use a we apply two layers of masonry paint. When the letters are required for permanent use outside, we use a higher density Styrofoam, painted to a matt finish. Letters may be faced in gloss or Matt finish expanded PVC. Digital printed Logos. Logos can be digitally printed and mounted onto card or plastic and then fixed onto polystyrene. This process would be ideal for any exhibition or window display. An example of a digital printed vinyl logo mounted onto 3mm foamPVC which was then glued onto 75mm thick polystyrene. Large Polystyrene Letters. 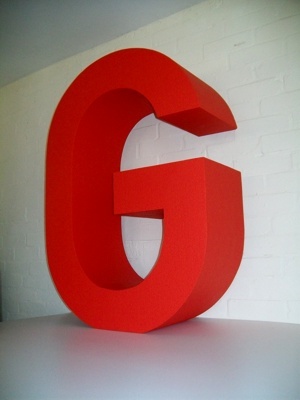 Large polystyrene letters are used for window displays, they have also been used in Company Offices as visual advertising. 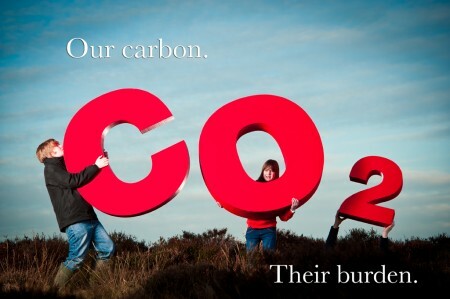 Other uses for large lettering includes commercial photo shoots and visual advertising campaigns in shop displays. Large 3D Logos. 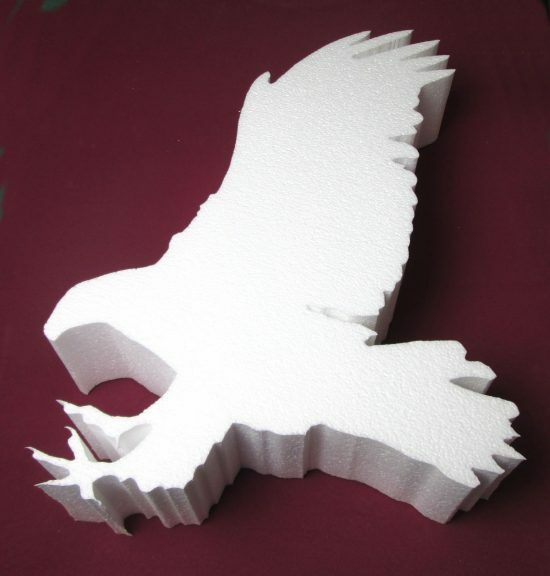 Large 3D polystyrene logos are used for shop displays in Department Stores like Selfridges in London and Harrods. 3D Numbers. 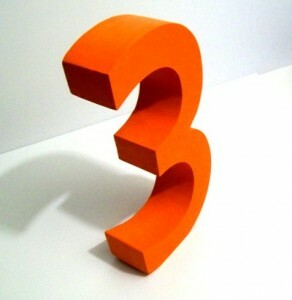 Painted polystyrene or styrofoam numbers for use in shop displays, may be fixed to walls or for use as freestanding numerals on shelving units within shop display systems. 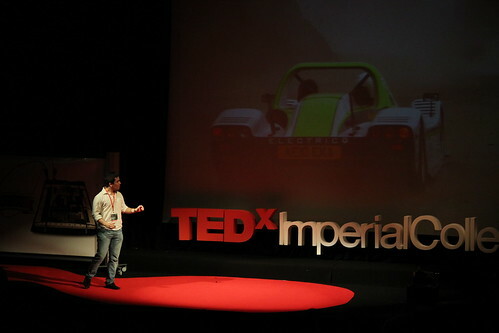 An effective way of visual communication using volumetric letters. The example on the right shows a number three, 250mm high, 50mm thick, painted orange matt, designed for free standing on shelving units within retail department stores. 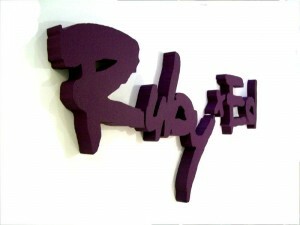 Polystyrene logos For Office wall Displays. 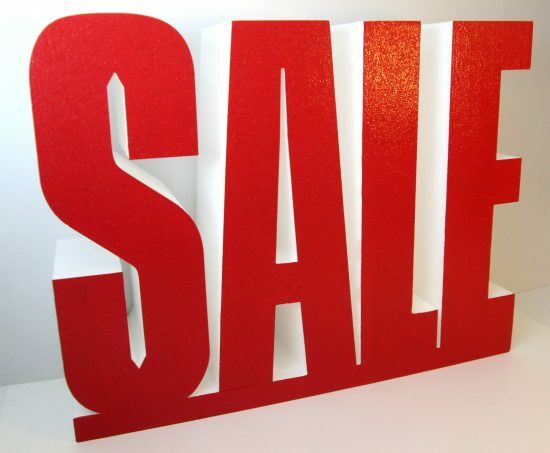 Painted polystyrene logos are used for exhibition displays and are also used for shop window displays and in-store displays and office wall displays. Please fee free to contact us for advice and a price.